We opened our doors in 1992 in a small Church Hall in the village of Shepley. Since then we have grown into purpose made Studios at Barncliffe Mills in Shelley. Our ethos is to create a fun and friendly learning environment which nurtures talent and creativity. 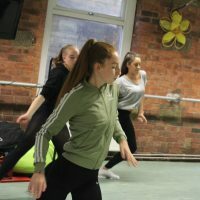 We have a full range of theatre performance classes including Ballet, Tap, Modern Jazz, Comtemporary, Street Dance and Musical Theatre. We also host Enrichment Workshops and encourage learning with a strong sense of teamwork and self value. 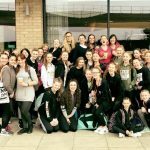 For the more serious student we offer examination work through the IDTA (International Dance Teachers Association) Syllabus – working towards and gaining qualifications through a recognised grade structure. And for those students wanting to take the next step – we offer advanced training tailored for those who maybe considering Performing Arts as a profession. All our Staff are highly qualified with a wealth of experience and professional qualifications. 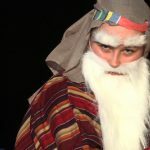 Once a year our students are encouraged to take part in our Showcase – a very exciting event in the Theatre where all students come together and perform a variety of pieces they have been working on. 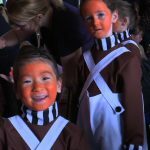 It’s a fun and very valuable experience where everyone involved gets to perform to an audience and a chance for the little ones to dress up in Costume and Make-up! 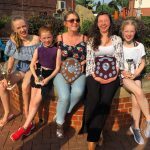 We have a number of students who take part in competitions across the county and country. We have won many awards over the years both locally and nationally and many of our success stories are displayed in our studios. 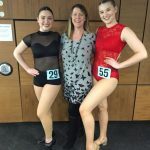 There are also opportunities for students who demonstrate the relevant aptitude to have private lessons for competition routines. We continue to go from strength to strength under the guidance of our Principal Adele Swales. High achievers in a multitude of careers not related to dance. 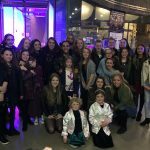 Once a year our students are encouraged to take part in our Showcase – a very exciting event at the Lawrence Batley Theatre where all students come together and perform a variety of pieces they have been working on. 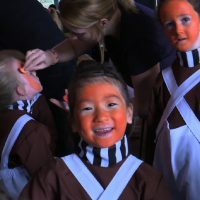 It’s a fun and very valuable experience where everyone involved gets to perform to an audience and a chance for the little ones to be in full Costume and Make-up! 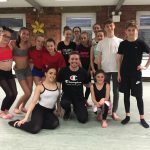 We are excited to be offering Acrobatics Arts which is a unique approach to teaching dance, giving students added strength and flexibility which will in turn enhance their performance. We are registered on the Acrobatics Arts program and can offer certified teaching in this subject. 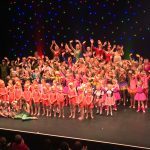 This all encompasing class combines dance, drama and song. It is a fusion of modern music and dance styles. 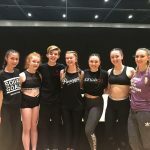 The syllabus encompasses the basics of all Musical Theatre Aspects and also has a graded examination system rewewarding students for their efforts and progression. 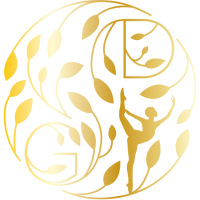 If you are wanting to learn all the latest moves in a friendly and supportive atmosphere look no further - the Georgie School prides itself on our excellent Street / Hip Hop Department. Born on the streets of America - Street dance is funky, energetic and up to the minute. This style is for all students beginner to advanced. 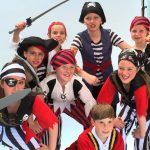 Students will develop creativity in this subject – it is focused on travelling movements, floor work, jumping and creative shapes and there is plenty of room for individual ideas and partner and group work. As a more mature student the Modern genre covers everything from Chicago to Ghost Dances. Sticking to the American roots of tap dance, our classes are influenced heavily by Jazz. Aside from the traditional styles, we also incorporate Lyrical, Urban and Street Style into our classed. If it has a rhythm, we can tap to it! 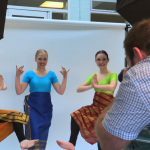 Ballet focuses on strength, body conditioning, flexibility and dance discipline. The style is the foundation to enhance all other types of dance. 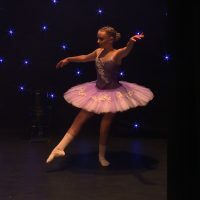 Here at Georgie, students will have the opportunity to develop from a young beginners to advanced performers.